Once back in Chile we had some serious miles to do to get up The East Coast to the Valdez Peninsula which was our next major destination. Argentina is a lot like Canada in that you can’t get your head around how big it is until you drive the distances. 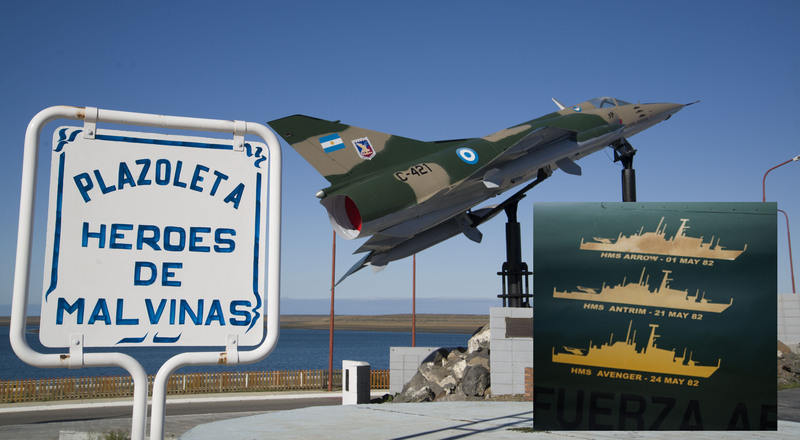 The drive from Rio Gallegos, which is the city just North of Tierra del Fuego on the East coast of Argentina, to The Valdez Peninsula is 1,570km. 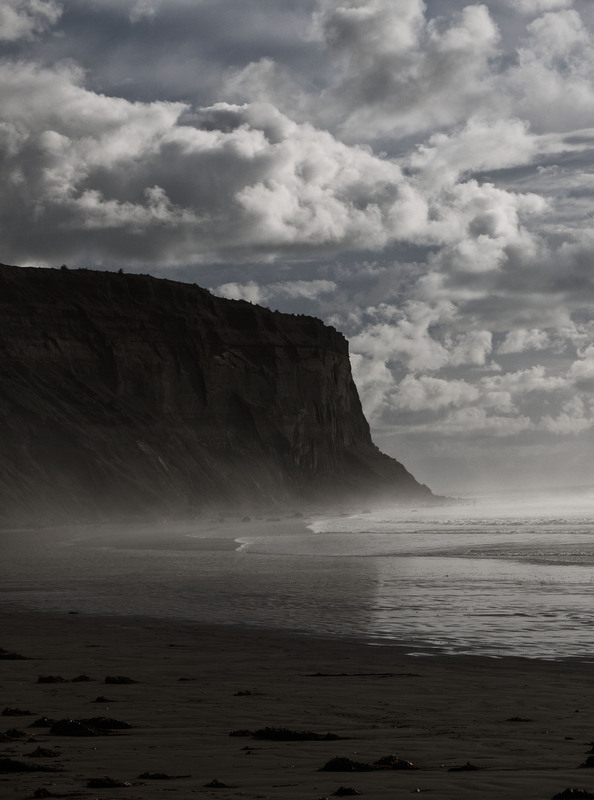 This doesn’t even get you out of Patagonia ! Our first proper stop on the way up the coast was at Puerto San Julian where the sun came out and we spent a relaxing day BBQing up some empanadas, brownies and steak. 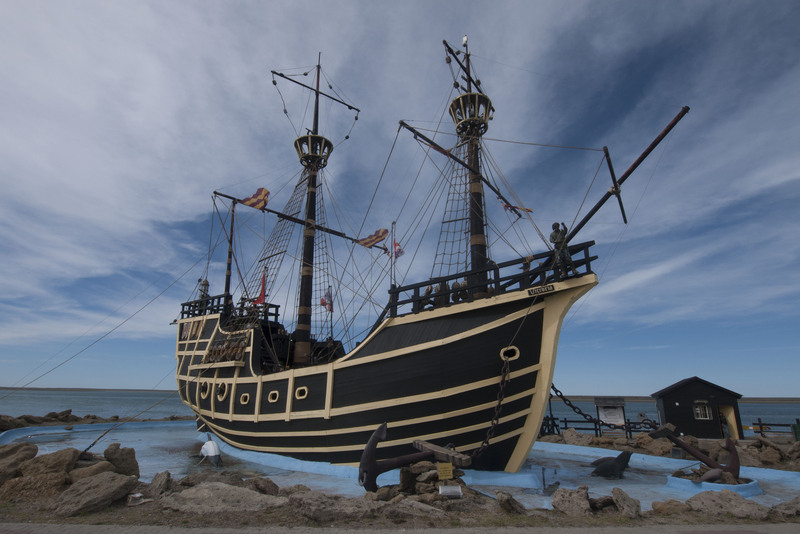 We also explored the town – a process that took about 20 minutes but were intrigued by the replica pirate ship and the jet that fought in the Falklands war. Back on the road again we spent a night in Commodoro Rivadavia before arriving at the tiny seaside village of Camarones. This is the gateway to the Natural Reserve Cabo dos Bahias. 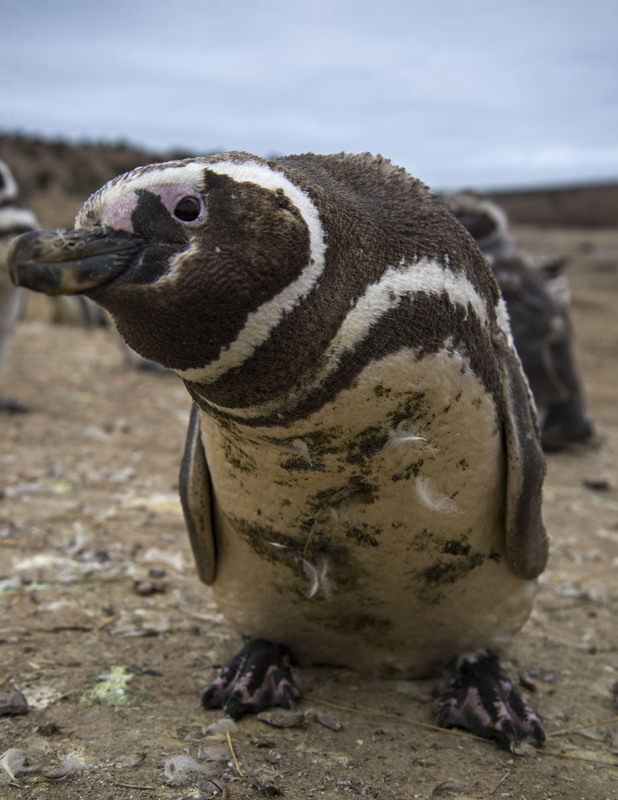 This out the way protected area is home to lots of wildlife not least a large Magellanic Penguin colony. 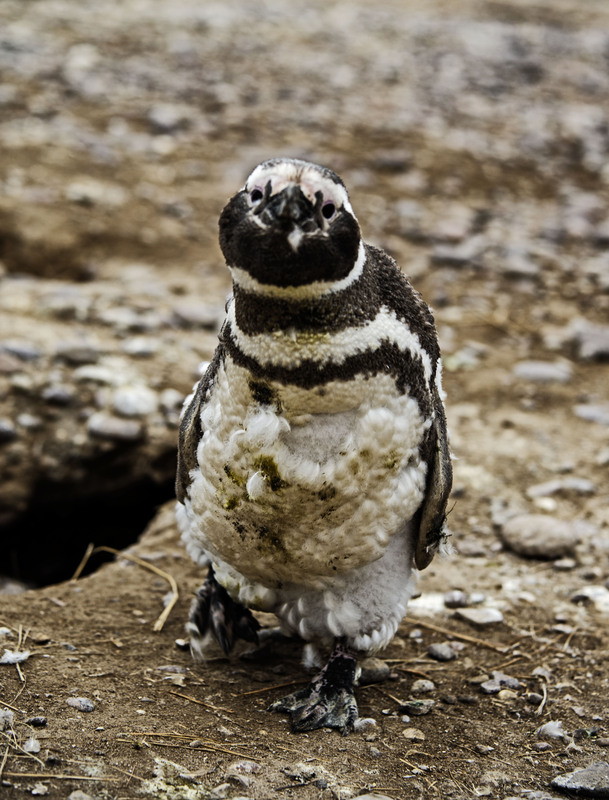 Its not quite as big as Punta Tombo to the North but has the serious advantage of being seldom visited – and for us at least free. We spent a really enjoyable couple of hours walking the boardwalk through the penguin colony with the curious penguins following our every move. 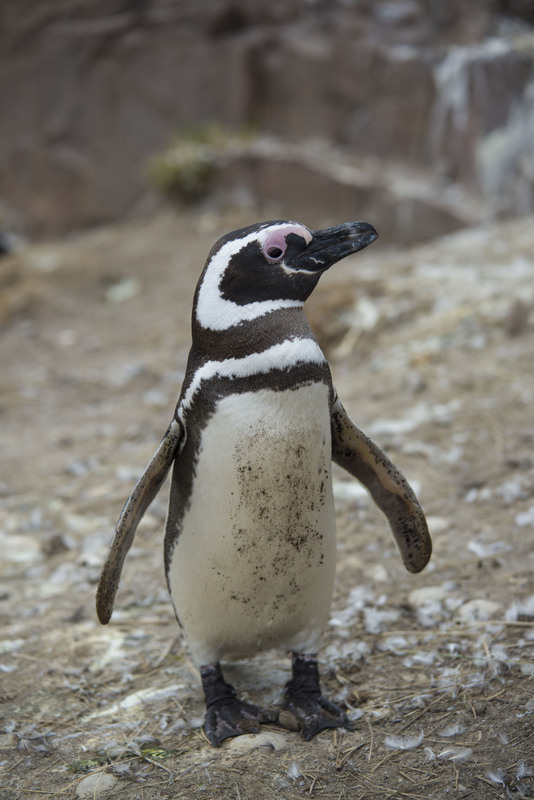 The magellanic penguins are different from the penguins we saw in Antarctica because they dig burrows. 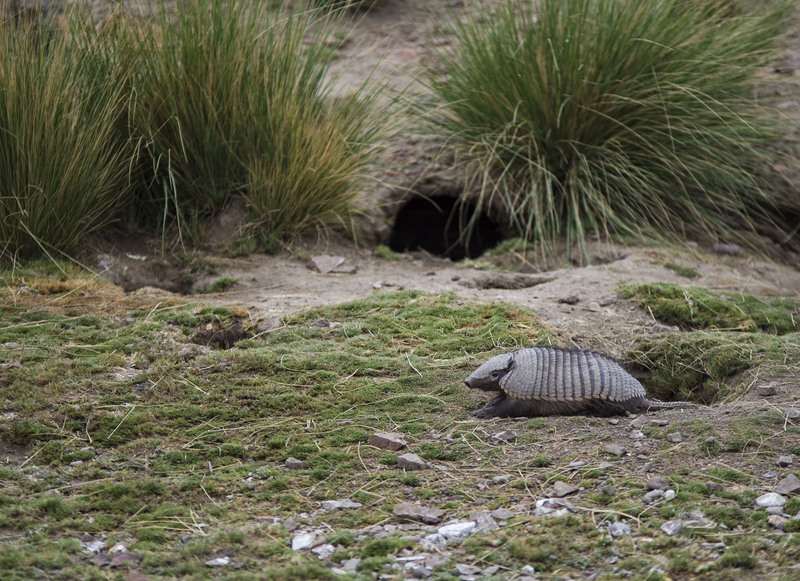 In amongst the penguins we saw Guanaco (a smaller type of Llama) and Rhea (small flightless birds) but the highlight for us was our first proper look at an armadillo that was wandering around sniffing at the penguin holes. 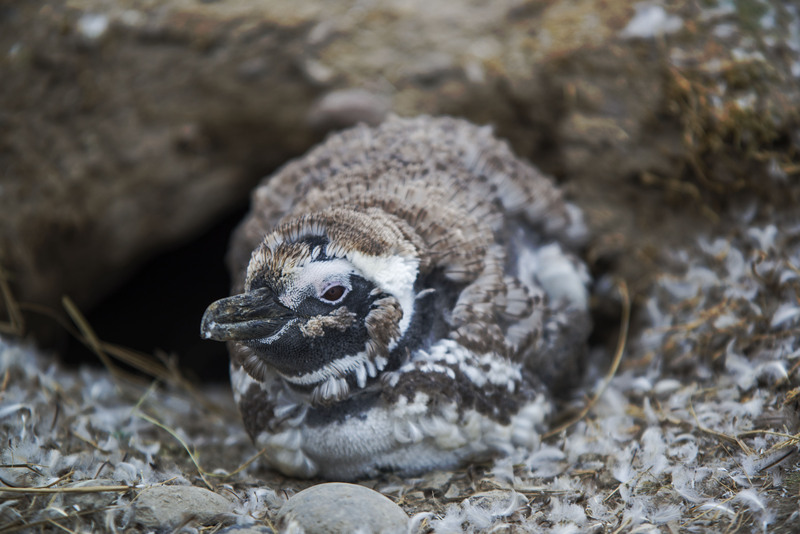 The penguin chicks were quite developed and at the crecheing stage where both adults leave the chicks, in groups, while they go off to feed and catch food for the chicks. The reserve is surprisingly easy to get to with a paved road to Camarones and then a good dirt road all the way into the reserve. I think there might be an entrance fee but there was no one around to collect it so we got in for nothing. After leaving the reserve we got back on the road and headed to the Welsh town of Gaiman.